A guest recital by Teresa McCollough '83, piano with Michael Boyd, piano. In honor of Igor Stravinsky’s 100th Birthday year, we invite you to a program featuring his monumental opus, The Rite of Spring, arranged by the composer for two pianos. Solo and duo works by American composers Frederic Rzewski and Tobias Picker will also be included in a celebration of music that evokes the spirit of the American heartland. Teresa McCollough ’83 has developed an international reputation for her dynamic and expressive playing. 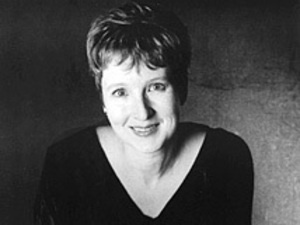 As a leading interpreter and advocate for contemporary music, she has commissioned, premiered, and performed many new compositions by today’s emerging and established composers including Alvin Singleton, Lou Harrison, Joan Tower, Alex Shapiro, Belinda Reynolds, Zhou Long, Charles Griffin, David Rakowski, Tomas Svoboda, Henry Martin, George Crumb, and others. McCollough has performed around the world, and appeared on both local and national television and radio. She has appeared with orchestras across the United States, and in festivals including the Aspen Music Festival, the New American Music Festival, the Aki Festival of New Music, April in Santa Cruz, the Festivale Internationale di Cremona, Spoleto Festival-USA, and others. McCollough’s recent project, World Piece, written for her by composer Steve Heitzeg and premiered in 2010, depicts the 192 countries of the United Nations in a beautiful ecoscore that can be accessed at its website: http://www.youtube.com/worldpiecemusic. Her CDs, New American Piano Music, and Music for Hammers and Sticks (with percussionists Tom Burritt and Peggy Benkeser), are available from innova recordings. McCollough is professor of music at Santa Clara University where she teaches a variety of courses. For more information, please visit her website at www.teresamccollough.com. Michael Boyd is active as a soloist, collaborative artist, lecturer, and teacher. As a concerto soloist, Boyd has performed with the Rochester Philharmonic, Milwaukee Symphony, Toledo Symphony, Dearborn Symphony, and the Eastman Chamber Orchestra. Solo recitals have taken him across the country, performing frequently in California, New York, Wisconsin, Michigan, and Ohio. In March of 2007, he performed on the opening concert of the American Liszt Society Festival at the San Francisco Conservatory performing the rarely heard original 1838 version of Liszt’s Paganini Etudes. In Europe, Boyd has performed recitals in Austria, Belgium, and Greece, and in the summer of 2007 was invited to give two lecture recitals in Spain. Dr. Boyd is professor of piano at the University of Toledo and has also been visiting professor at the Eastman School of Music. In addition, he is on the faculty of the Indiana University’s Summer Piano Academy and the Chautauqua Summer Institute. Dr. Boyd was recently named a Steinway Artist.